Could We Recycle the Heaps of Space Junk Around Our Planet? One planet's (space) trash can also be its treasure. SpaceX just made it through a successful maiden launch for their Falcon Heavy, the biggest rocket yet to have come from Elon Musk’s company. For its first payload, the Heavy jettisoned Musk’s own Tesla Roadster into space, on a path that was intended to bring its “passenger” — nicknamed Starman — into Martian orbit. Undoubtedly, the event is historic. Some, however, note that Musk may be contributing to the already-growing host of space junk floating around Mars. And speaking of space junk: it’s as good a time as any to re-evaluate the Earth’s own burgeoning collection of space debris. At present, there are more than 500,000 pieces of debris floating or orbiting around Earth. These come from various sources, though most originated as parts of satellites and rockets we’ve been sending out to space for the past seven decades or so. Around 20,000 of these are detectable objects, or those bigger than 10 cm, according to Stuart Grey, a mechanical and aerospace engineering teaching fellow at Scotland’s University of Strathclyde. Among the detectable objects, “just over half are fragmentation debris resulting from collisions. 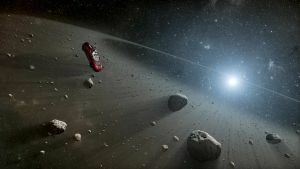 About a quarter are spacecraft (of which about 1500 are active) and the rest is made up of rocket bodies and mission debris,” Grey told Futurism. The overall picture these fragments paint seems even more distressing: “If instead we look at the mass of the objects in orbit we find that there are about 8000 metric tons of man-made material in orbit around the Earth,” Grey added. In short, there’s just too much litter floating around the planet to be safe in the long term. But what if we could look at space debris in a different light? 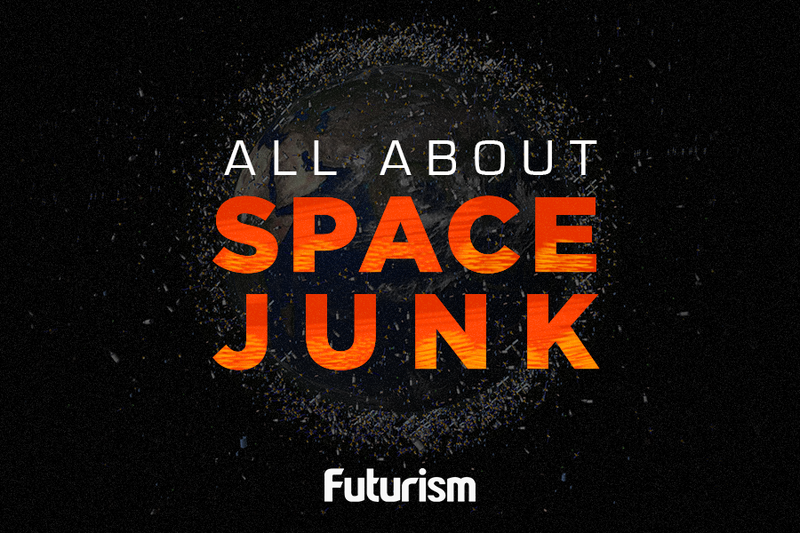 After all, most of space junk is comprised of the quite-expensive materials that are used to build rockets and satellites. Could space junk therefore be a floating resource that remains un-utilized? Grey explained that objects in low Earth orbit move extremely fast, around 7 kilometers (4.3 miles) per second. That makes them difficult to catch; building rockets designed to run down such speedy debris would be too costly for the effort. Scientists and engineers from the NASA Innovative Advanced Concepts (NIAC) Program suggest something similar: using a spacecraft thinner than human hair that can wrap around space debris like a net. Other consider zapping space debris with laser. All of these concepts, as Grey noted, remain largely on the drawing board. Fortunately, or perhaps unfortunately, we’ve got time. Space debris in higher Earth orbit will stay there for quite a while. “While objects in low Earth orbit will de-orbit in a matter of months or years, objects in higher orbits such as [Global Navigation Satellite System] satellites in medium Earth orbit, and satellites in geostationary orbits, will still be in orbit hundreds and even thousands of years into the future,” Grey explained. The thing is, we continue to contribute to space debris even as we ponder how to resolve it. Whether or not we figure out a way to use space junk as a resource, it’s imperative that we do something about it — perhaps sooner rather than later. Disclaimer: This article has been updated. A previous version stated that there are 200,000 detectable pieces of debris. This has been corrected to 20,000. Futurism regrets the error. China Has Lost Control of a Space Station. Here’s Why You Shouldn’t Worry. 500,000 Pieces of Space Junk Are Orbiting the Earth. Here’s How We Can Get Rid of Them.